How did it get to be September so quickly?! While I’m glad the kids are finally all in school it seems life is still crazy. Josh has been working extremely long hours lately and usually on Sunday too so the end of summer was crazy being stuck with the kids all the time. Needless to say we’ve all been tired and I’m still living in a bit of a fog. A new month brings another In My Kitchen post. Thanks to Celia over at Fig Jam and Lime Cordial for hosting this monthly event. As I said it’s been a hectic month but we’ve had a bit of fun along the way. We took another trip up to the mountains which included an overnight hiking/camping trip. We learned a few things from previous trip so this time our outdoor kitchen was a little better. This time we learned we need a bigger pot, it takes too long to cook for five people in small pans!! For dinner we had couscous with sausage, onions and zucchini. We just finished dinner when it began to rain. Jack was upset since the camp cake was still cooking and we hadn’t started a fire for the marshmallows yet. After some time in the tent Josh was able to get a small fire going and we roasted marshmallows for dessert! While up in the mountains we went to Skytop Orchard. 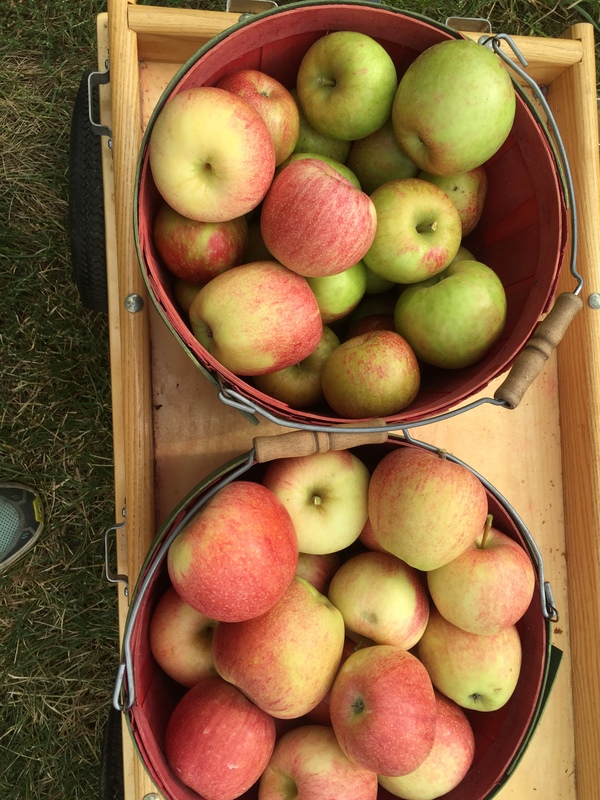 We love to go apple picking there and this is the first year we got there early enough in the season to get Gala and Honeycrisp apples. These apples are still sitting in my kitchen, though there are many less. We made one apple pie and the rest have pretty much been eaten plain. Their flavor is excellent. Josh and I managed to get in a date night while we were in the mountains too. After some great drinks and dinner in Asheville we stopped by Ingles Supermarket. I know, we are wild that way! It’s fun to browse the store with no kids and ingles had such a great organic and local selection. 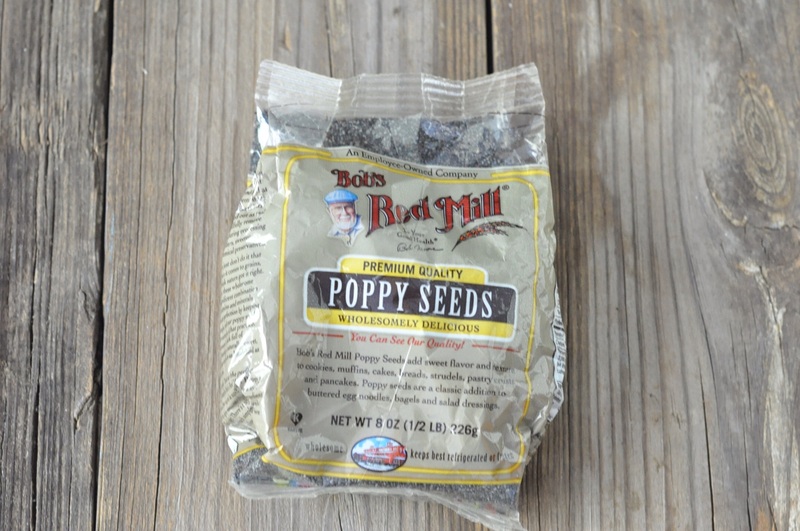 I have never seen such a large selection of Bob’s Red Mill products and was happy to find these poppy seeds. Those little jars never last long if you bake with them so this should be fun to play with. In my kitchen we have a few goodies from the garden. I used the tobascco peppers to make a hot sauce. 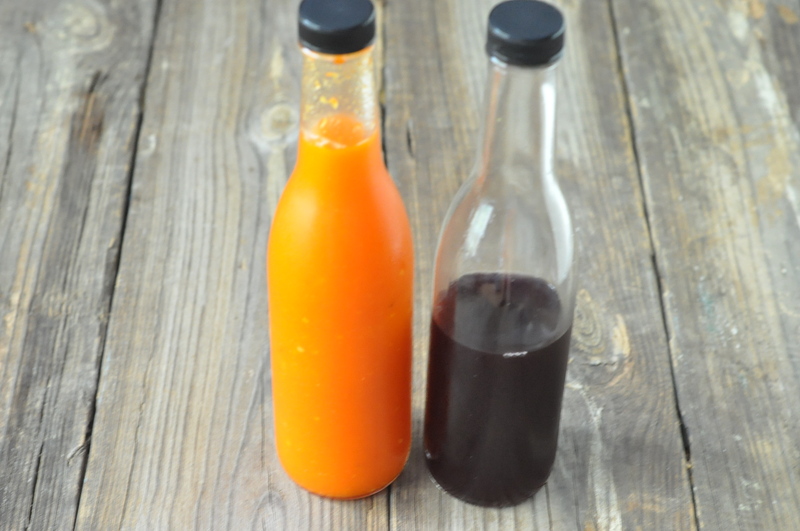 It is quite hot and will go well on so many things, we are a hot sauce family! The other is an adult libation Josh made with the elderberries. We planted elderberry bushes in the spring and already had berries this summer. Although the elderberry liquor is good next year we’ll use the elderflowers instead. Josh has a bit of a thing for St. Germaine and the elderflower will hopefully allow us a chance to create our own delicious liqueur. The boys managed to break one of the salad plates. Shocker, I know!! The funny part is that Ewan first chipped a plate and then Sean broke one. The odds were one in twelve, but the broken one was actually the chipped one! So instead of losing two plates it was only one. I finally got around to ordering a replacement, three actually since I may as well plan ahead for future breaks. 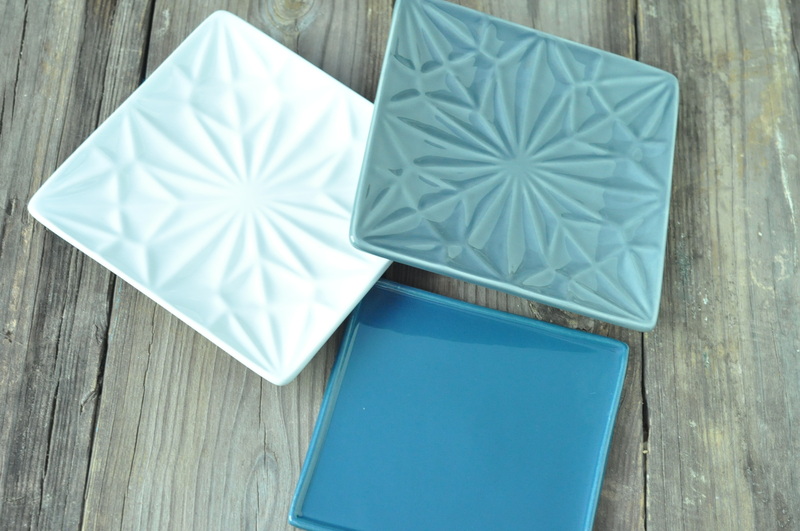 These cute little plates managed to find their way into my order, imagine that! I also got my monthly MightyFix shipment from Mighty Nest. 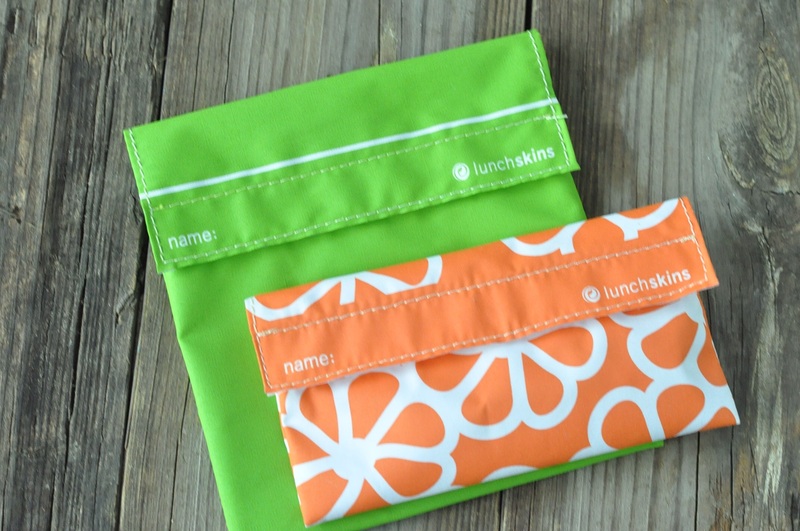 This time it was these reusable snack pouches. I have several others that are fabric and zip which I like. These are nice since they can go right in the dishwasher. Mighty Nest is a great company I love both for their environmentally products and their charity. When you place an order they donate 15% of your purchase to the school of your choice. By the way they have a great selection of Weck jars and good prices. 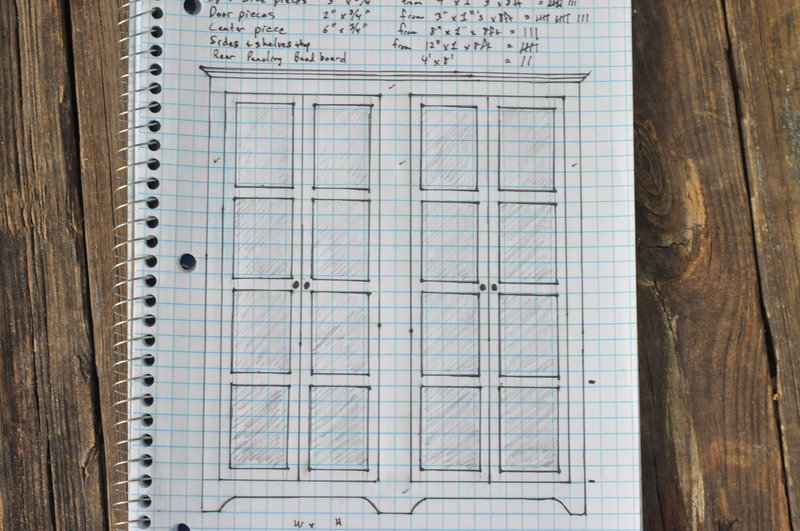 Finally we have design plans for my new pantry. Josh designed this in my kitchen and the pantry will go on the wall by the table. We’ve talked about a new pantry for some time and he always promised he would build it. While in the mountains promises were made and you should be seeing the final product for the January 2016 In My Kitchen post (I may have had to do go underwater in a freezing cold mountain creek to get a promise of delivery by Christmas this year)!! I look forward to a pantry where I can actually find things better and getting my hall closet back to being an actual closet! That’s a peek of what’s been going on in our kitchen. I hope to someday soon get more sleep and get into a better routine. Until then it’s less planned than usual but still home cooked meals for us. What has been happening in your kitchen? Check out what is happening in kitchens across the globe over at Fig Jam and Lime Cordial. 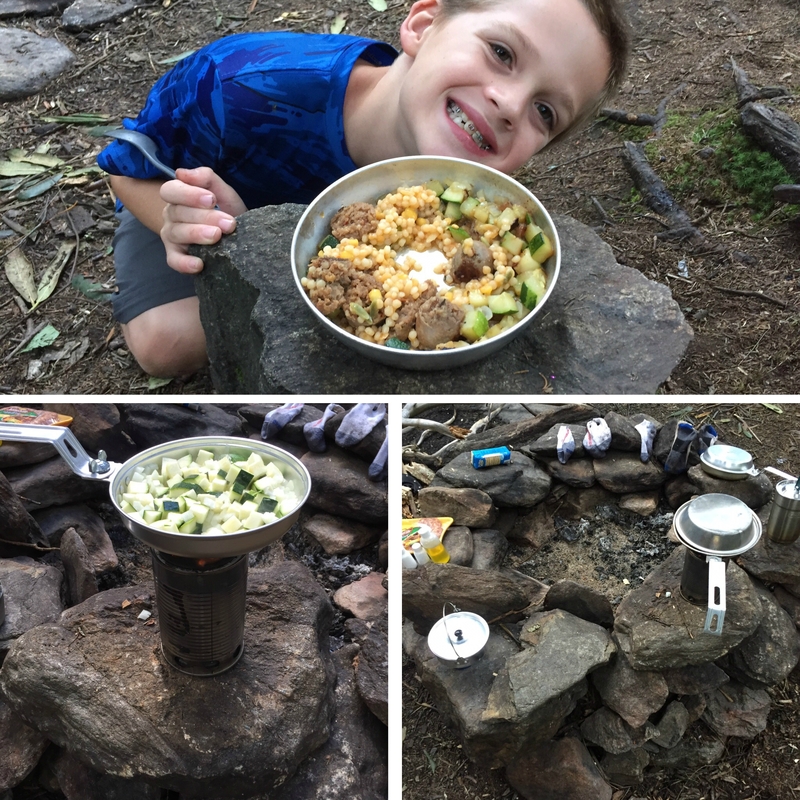 This entry was posted in In My Kitchen and tagged Campfire Food, camping, Elderflower, Fig Jam and Lime Cordial, In My Kitchen, Sky Top Orchards, Tobasco on September 1, 2015 by Gretchen. That camping trip looks fun! Couscous and sausages – now that sounds divine! Did you get to have the camp cake in the end? I am very excited about the pantry! Yes we ended up eating the camp cake. The fire never got hot enough, probably due to the rain. It was still a little mushy in the middle but reposted great, especially with the wild berries we picked in it. That’s great to hear! Glad you could still eat it! Sounds like you had a good trip and those apples look stunning. I’m with Josh on St Germain thing 🙂 Cheers to “wild” date nights! I certainly enjoy St. Germaine too and can’t wait to try to make our own next year. It is quite nice on a date night going to the store alone and actually having time to look at things. Now that Sean started preschool maybe I can enjoy the store a little more often in the mornings. Beautiful apples, and lovely photos! We just love apple picking! They were so delicious, we need to get back before the season ends. Thanks for stopping by. Nothing bets an apple straight off the tree! So yummy. Thanks for your visit! Hi Gretchen I hope you get your pantry by the promised date. I will be looking out for it. Josh will have to manage to be home more or the pantry will never get done. Hopefully his schedule will lighten up soon because I’m very excited about getting a new pantry. I love his design and can’t wait to see the finished product. I’m excited about the pantry! We learn something new every time cooking while camping. Hopefully next time will be even better. At least I managed to talk hubby out of the freeze dried meals he wanted to take! The apples are the best, can’t wait to go picking again soon. Ooo, how exciting, you new pantry looks beautiful. Crossing fingers you get it by the promised date. 🙂 Love your new salad plates. I am excited about the pantry. I am not overly confident about the completion date, but maybe I’ll be pleasantly surprised. Thanks for stopping by! The guys are all going camping again later this month. I get to stay home alone, lucky me! I feel your need for a bigger pantry Amy! I need a bigger one and one in which I can better organize things. Unfortunately I don’t have room for the size pantry I need so hopefully this will do. Maybe someday I’ll get my dream house with a massive kitchen and butler’s pantry. You can’t beat a fresh apple. Your pantry plans sound amazing. Can’t wait to see the end results. Those plates are just lovely, although the idea of camping isn’t. I’m more of an indoor kid of girl. I’m with Josh on the St Germaine, too – lovely stuff! I am definitely and indoor girl too. Who knew I would have three boys and a hubby that could drag me along on a camping trip?! The good news is I can forget it all with enough St. Germaine. Gretchen, you know you’re a foodie down to your boots (& heart ‘n’ soul) when you cap off a rare date night with a trip to the grocery store, sans kiddos. 🙂 Best wishes and blessings on your pantry re-do! Those wild date nights! Thanks for popping by. Somehow the month got away from me and I’m just now replying. It was a great but busy month. As for the hot sauce, I just winged it so there is no exact recipe. I cooked the peppers in vinegar and blended it up. It tastes great, hubby loves it! You really know how to enjoy life. I can’t remember the last time I went camping (what a shame!). I’ve been procrastinating about going but not yet there I guess. I love honey crisp apples. They are sweet , crisp and fresh. I usually get them at the local market here. I hope your pantry design turns out great. Have a wonderful weekend! I had never been camping until this summer. It is most fun to watch how much the boys love it. I enjoy the hiking, not so much the sleeping in a tent with no running water or toilets anywhere!